GO/getoffice has been updated. Anyone who is associated with the college who wants to put Office on their personally owned computer will need to follow the procedure outlined there. This includes faculty, staff, and students. Any user of a college owned machine should contact the Helpdesk to have Office installed. 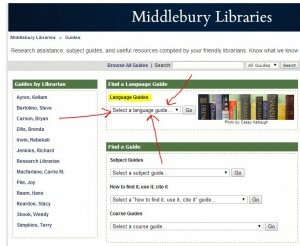 To help patrons find language resources this summer, start at go/guides. 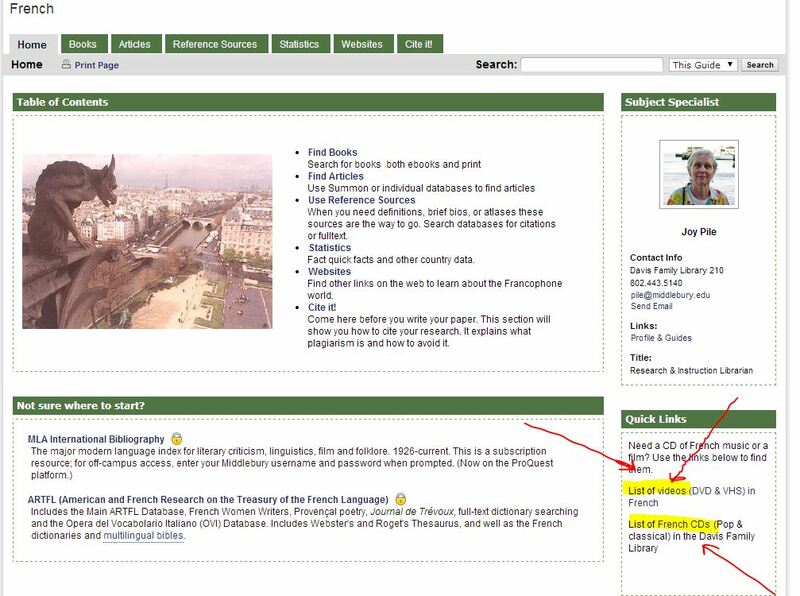 The first drop down is a language selection menu, which will take the patron to the appropriate guides page for that language. Once on a language page, there will be links to CDs and DVDs in the lower right corner (in most cases). Since we have a limited amount of student MacBook laptops, (14 at Davis, 3 at Armstrong), and Dell PCs (6 at Davis, 9 at Armstrong), we can no longer allow student borrowers to take them out of the Davis and Armstrong libraries. They have been continually overdue, resulting in zero laptops available for other students to check out. I understand that we did not advertise the fact that laptops could leave the library, but since we allow a 24-hour loan period, we did not restrict them to the building. We are now restricting them to remain inside the building. They will each have a sensor attached so they will beep if they pass through the sensing gates. NOT ALLOWED TO PASS BEYOND THE LIBRARY EXIT/ENTRANCE GATES of BOTH DAVIS and ARMSTRONG LIBRARIES. That is to say and to include, the Wilson Cafe and the Armstrong kiosk and reading lounge area as off limits. The loan period will remain at 24 hours for Dell PCs and MacBooks. NO MACBOOK STUDENT LAPTOPS AND DELL PC LAPTOPS ARE ALLOWED OUTSIDE OF THE DAVIS AND ARMSTRONG LIBRARIES – THIS INCLUDES THE WILSON CAFE. Secondary rule change: There will be a pop-up message (coming soon) to remind anyone checking in returned laptops to open up the machine to check the screen to see if it is broken, and if the machine is off, to please turn it on, then turn it off before placing it in the cart. More often the machines are on, so please turn them off and place in the cart. We are asking this so we are certain the laptops are in good working order upon their return to the Circ Desk. Please direct any equipment questions to me, and I will gladly assist. You may also make your inquiries to your nearest friendly supervisor or to our fearless leader, Circ Czar Dan Frostman. Thank you for your attention to these instructions and for your dedication to our policies! Now go our and have a great weekend. In preparation for summer training, I just created a new wiki page with some tips for searching music items. Let me know if you have any questions or if there is anything you think should be added. Viewing rooms 240 A & B have been upgraded with new 40” flatscreen and blu-ray player. The vcrs are still installed . We did remove the laser disc player.